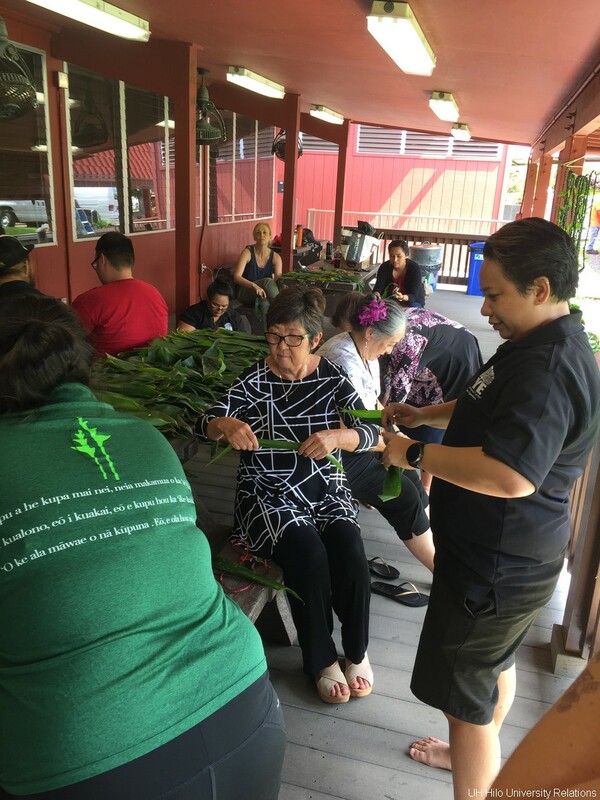 University community pulls together to assist in this cultural way of welcoming incoming students to be a part of the UH Hilo ʻohana. 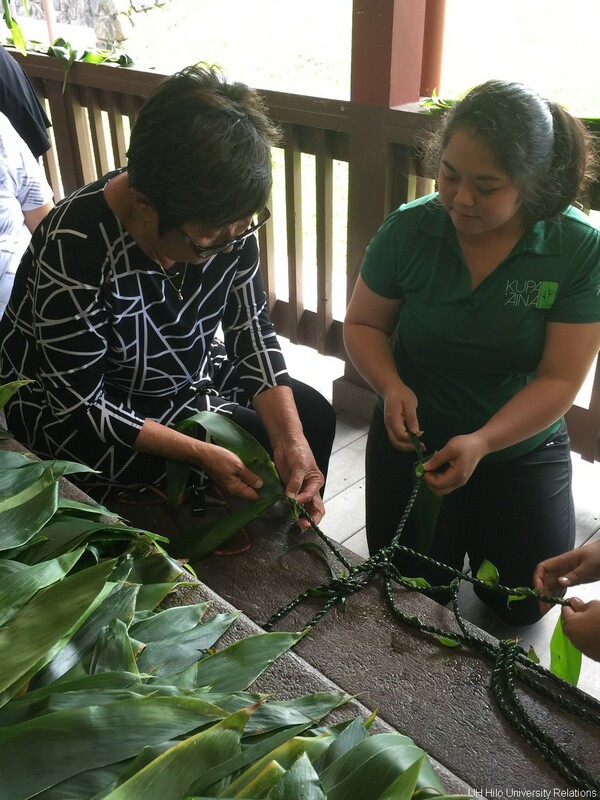 Interim Chancellor Marcia Sakai and staff member Kalei Baricuatro make ti leaf lei last week on the lanai of the Kīpuka Native Hawaiian Student Center. The leis will be given to new students during welcoming ceremonies on Aug. 15. University of Hawai‘i at Hilo Interim Chancellor Marcia Sakai joined university staff on the lanai of the Kīpuka Native Hawaiian Student Center last Wednesday to help make 200+ lei la‘i (ti leaf lei) for the newest Vulcans and their ‘ohana. 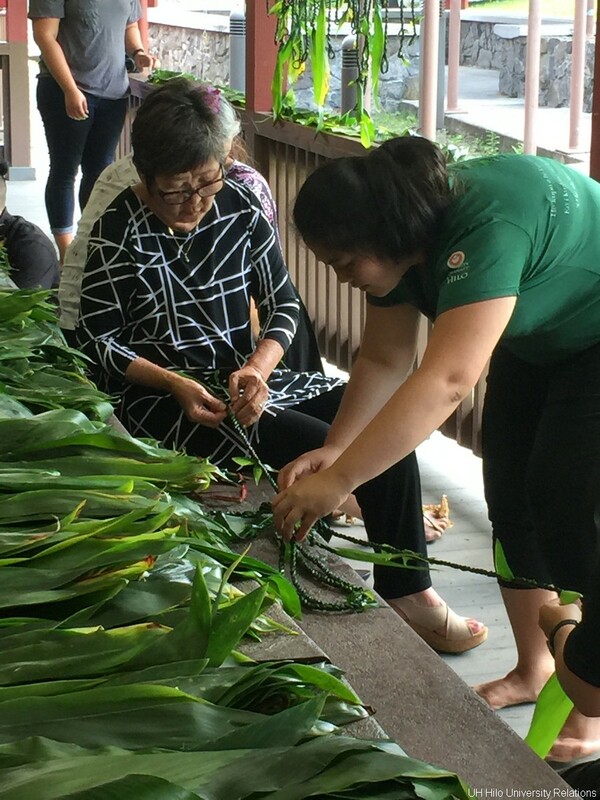 “For the past two fall orientations, our (university) ‘ohana has come together to make over 400 lei la‘i (ti lef lei) for our new students and their families,” says Shara Mahoe, director of First Year Experience Programs at UH Hilo. 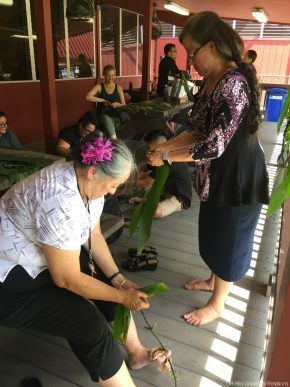 Mahoe says this year, organizers will be incorporating a kīpaepae welina, a welcoming ceremony, prior to the New Student Convocation formal program scheduled for Wednesday, August 15, 2018, at 12:30 p.m. in the Performing Arts Center. 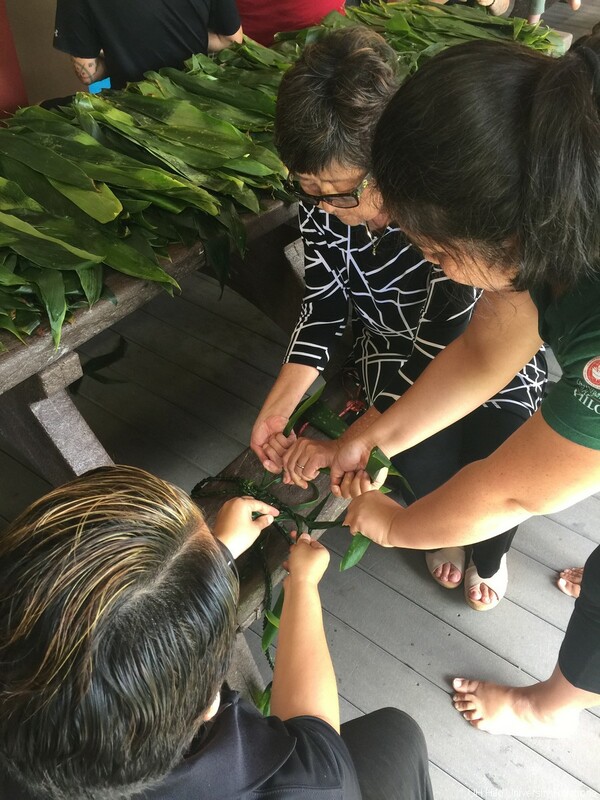 Administrators, faculty and staff will assist in this cultural way of welcoming incoming students to be a part of the UH Hilo ʻohana. There also will be orientation events and workshops before convocation week for people who wish to participate but are unfamiliar or have not attended a kīpaepae. 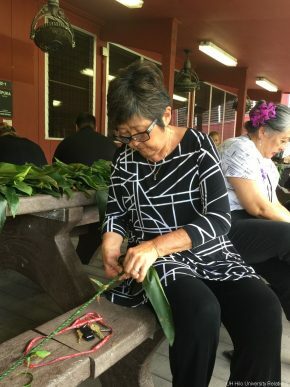 No prior experience is necessary to be a part of the kīpaepae, explains Mahoe. 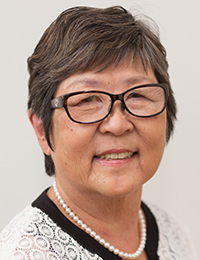 A Google sign up page has been created so organizers can communicate with admin, faculty and staff that would like to participate. “Let us gather together as the UH Hilo ʻohana and welcome our new students on their academic journey!” says Mahoe in an email to the university community.